I’ll be up late tonight, but not late enough to catch a little portion of the start of tonight’s “Supermoon Blue Moon Blood Moon” eclipse. For those of you on the North American west coast who are going to get up early – have fun…. 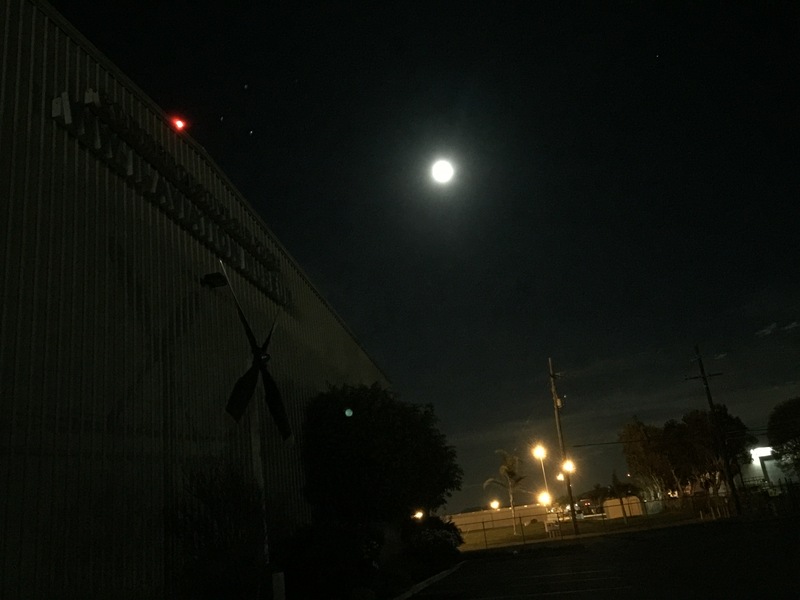 I was out at the hanger on a late-night run earlier and did see this Pre-Clipse view as the moon was headed toward the Earth’s shadow (which would have been to the lower left of the moon I think, not that you could see it). 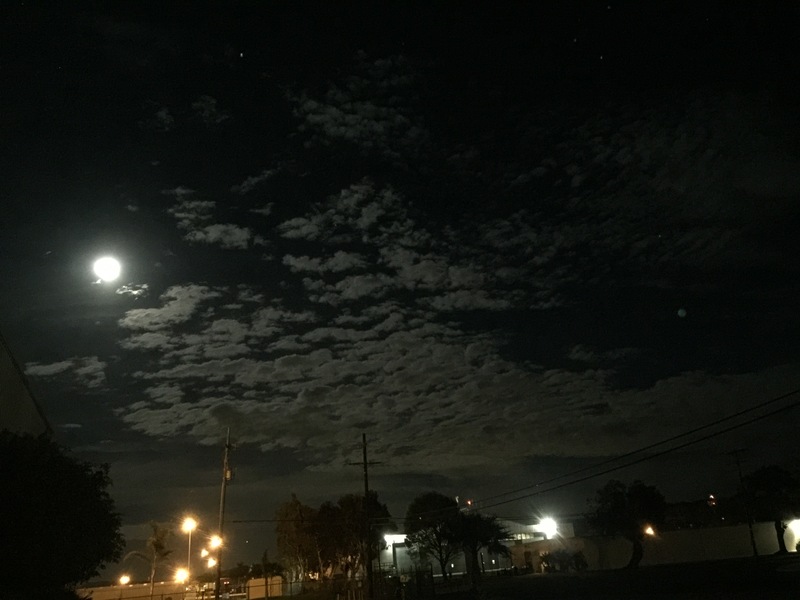 Those clouds might also be a good reason to not exactly hustle out of bed at 04:00. I’m thinking that not getting into bed until after 01:00 might be another excellent reason!